I’ve been busy the last few days spending time with family and friends, enjoying the holidays, and eating as much food as I can fit in my belly. Today I’m back to the grind, eating healthy, and waking up before 11. Sigh. Here are a few links that cheered me up today and hopefully will make you smile too. 1. As if Taylor Swift couldn’t be more perfect, she’s also Santa Clause. 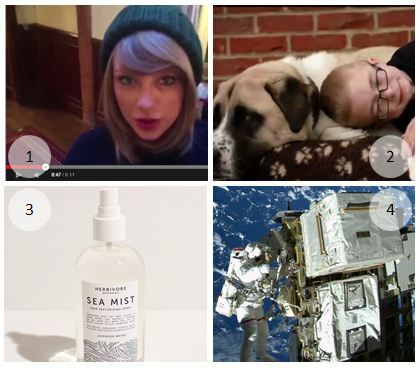 You can also check out these super cute Swift inspired resolutions. 2. Ever since I saw Catching Kayla, I have been obsessed with watching E:60 stories. Here is another inspirational story about a special friendship between a boy and his dog. 3. Missing the beach and warm weather this winter? Check out this all natural sea mist for your hair and body. Made with purified water, aloe vera, dead sea salt, and essential oils such as sage and lavender, it’ll bring the ocean to you. 4. And lastly, the most powerful photos of 2014. Categories: Uncategorized | Tags: Animals, Beach, Beauty, Dogs, ESPN, Hair, Holidays, New Years, Ocean, Photography, Presents, Resolutions, Sea Salt, Swiftmas, Taylor Swift | Permalink. 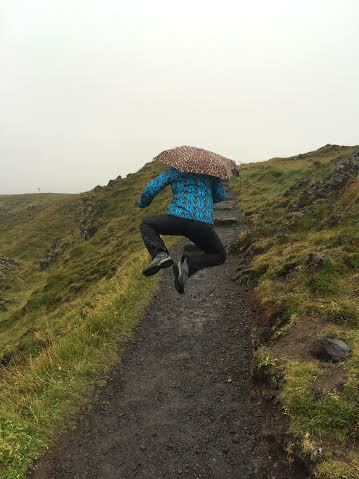 I went to Iceland! Did ya miss me? I sure missed blogging. While I was away I thought of so many ideas for future posts and I can’t wait to get started. But first I would like to share a little about my trip and see how many times I can write the word “Iceland” without annoying everyone. 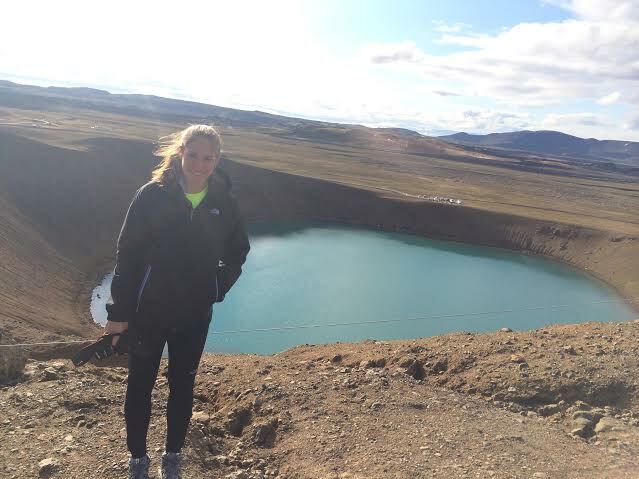 Right now you might be thinking, “Annie, what does Iceland have to do with your blog?”. I promise it relates. Icelanders are very conscious, environmental, and sustainable folk. You have to be when you live in such an isolated place where it can snow for 75% of the year. 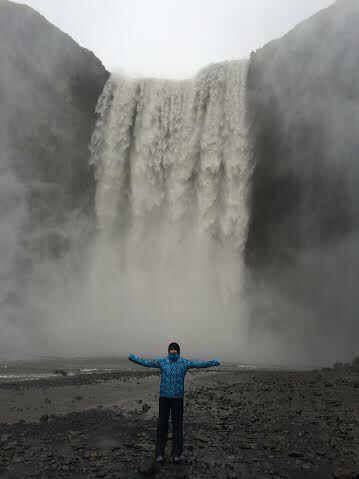 First, I would just like to say that my trip to Iceland was an extremely fun and beautiful and inspiring experience. I highly recommend going on an adventure in Iceland if you get the chance. There are so many things to do and beautiful things to see and fascinating places to explore. 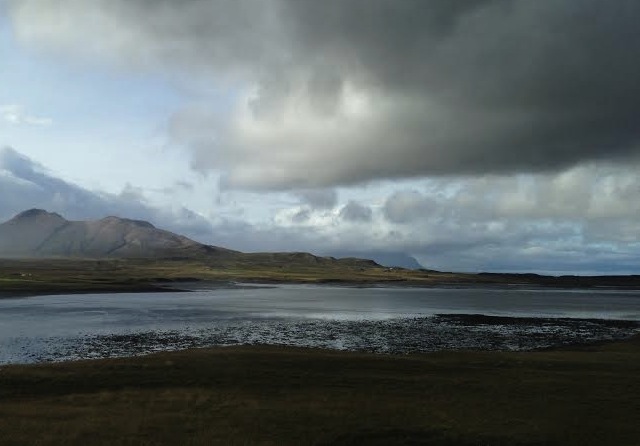 I got to walk on a glacier, snorkel between tectonic plates (yes, the water was absurdly cold), hike in gorgeous national parks, trek through an ice cave, relax at a geothermal spa, ride a zodiac through a iceberg ridden lagoon, eat delicious local food, explore cities, and see more sheep, waterfalls, and rainbows than I have in my entire life. 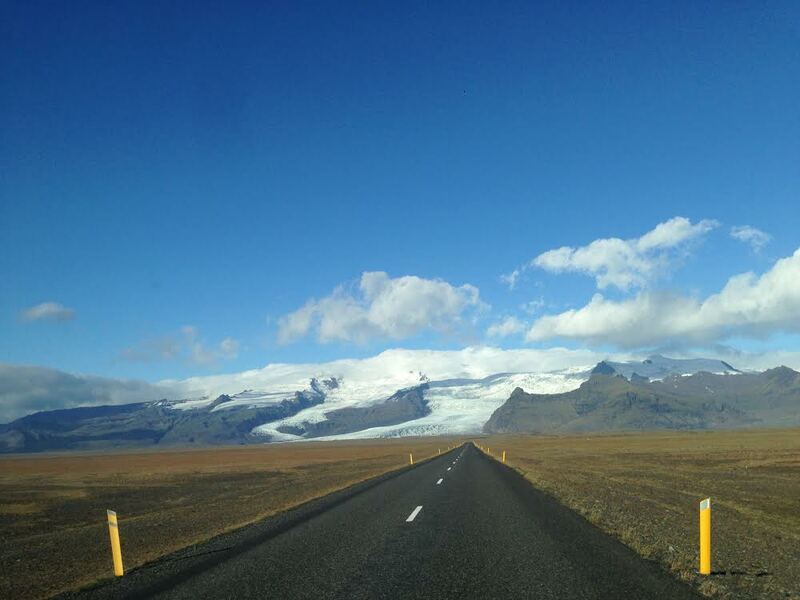 I traveled around Iceland on the Ring Road, which follows the perimeter of the island. It is about 1,332 kilometers (828 miles) and we did it in 9 days. Some days we drove three hours and others we only drove one. The driving wasn’t even bad because: a) there isn’t any traffic and often times you go miles without even seeing another car and b) the sights are incredible. It was cool to see how the geography changed from region to region. I really feel like I was able to get a good feel for the entire country. 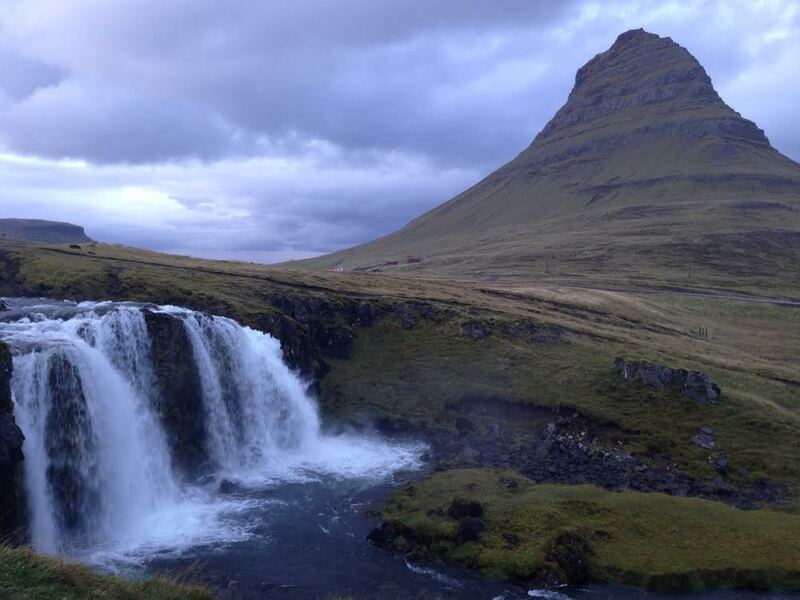 Kirkjufell and Kirkjufellsfoss. Foss means waterfall in Icelandic. So many fosses in Iceland! That white part on the mountain is a glacier. It is a part of the biggest glacier in Iceland, Vatnajokull. Jokull means glacier in Icelandic. They gave us axes to use during the glacier walk. We were suppose to use them for support if we needed them, but I think they were mostly just for show. Naturally I had to test mine out. It worked. Oh and the black/gray stuff on the ice is ash from past volcano eruptions. Iceberg dead ahead! The ice is a pretty blue because when the ice breaks off of the glacier it is super compact and all of the air is super compressed. So when light enters the ice all but the blue light waves are dissipated. Science. It works like the blue in the sky. And the pictures don’t even do the landscape any justice! You really have to see in person to experience the actual beauty. All the people we met had a distinct respect and appreciation for nature and the beauty of their environment. Most of our local guides were excited about the volcanoes erupting, which is the exact opposite reaction I was expecting. Before I left when I told people I was going to Iceland they all asked if I was worried about the volcanoes. So I assumed Icelanders would also be freaking out about an eruption. And in some ways they were, but it was excitement freaking out and not worried freaking out. They talked about watching the eruption streaming live online and how areas around the volcano have to be blocked off during the eruptions because people will literally walk miles and miles (or kilometers and kilometers) to catch a glimpse of the volcano and sometimes they get a little too close. They have such a passion for the land and its geology and preserving the environment around them. It’s admirable. On top of that, nearly 100% of Iceland is powered by renewable energy. 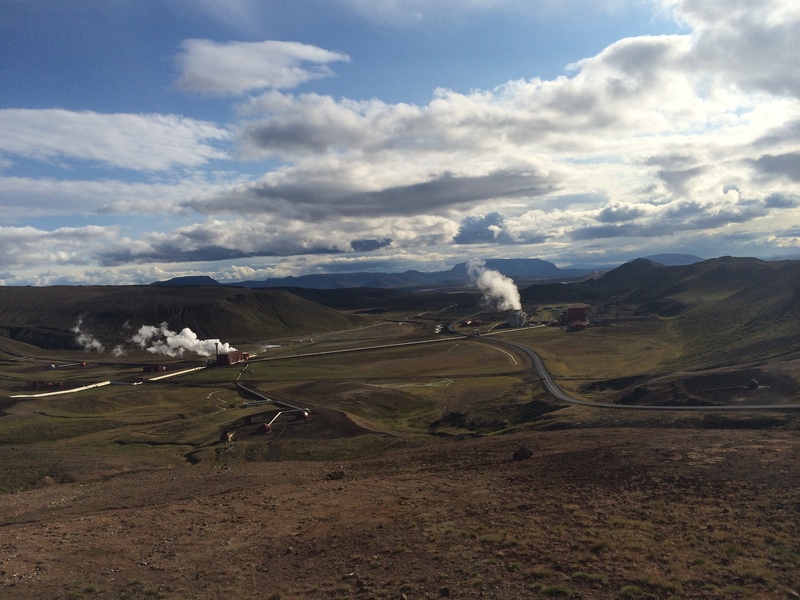 Hydro and geothermal energy are responsible for powering almost the entire island. I got the see the largest geothermal energy plant and man did it smell! The stink is from the hydrogen sulfide in the steam collected from the geothermal reservoir. Imagine the stench of 100 rotten eggs. Now multiply that by the area of this plant. That’s how bad it smelled. 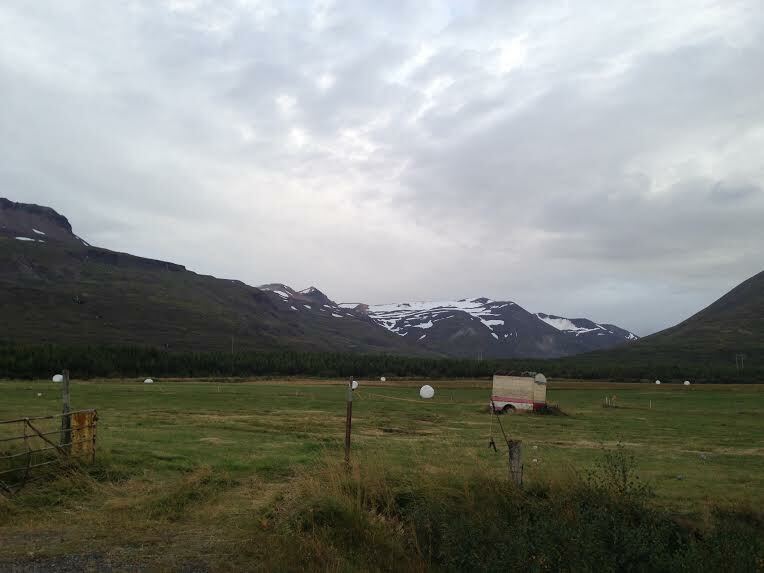 Although Iceland might seem like the environmental dreams, it is also suffering from the effects of global warming. When I did a glacier walk, I learned that the glaciers are melting faster than ever before. It is natural for glacier to through cycles of growing and shrinking, but the rate at which the glaciers are currently melting is unnatural. 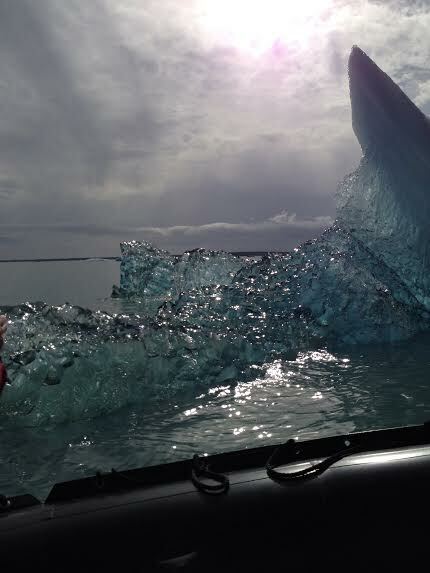 And what would this world be without giant chunks of ice in Iceland? Icelanders are also very conscious when it comes to food. I went to Iceland expecting to have some to have some interesting meals. I’m a fairly picky eater and had read a few articles about strange and gross Icelandic food (sheep head, no thanks! ), which worried me. Would I be able to eat? Huge concern. But I’m hear to tell you not to believe any of that hoop-blah! Sure they eat fermented sharks and eggs, but I don’t think those foods really represent Iceland. I literally didn’t have a bad meal while I was there. Everything was incredibly fresh and delicious. I had some of the best seafood of my life and I live in Maine! Because of Iceland’s small populations, high environmental consciousness, strict government regulations, and geographic isolation, the meat and seafood are some of the healthiest and purest in the world. Om nom nom! 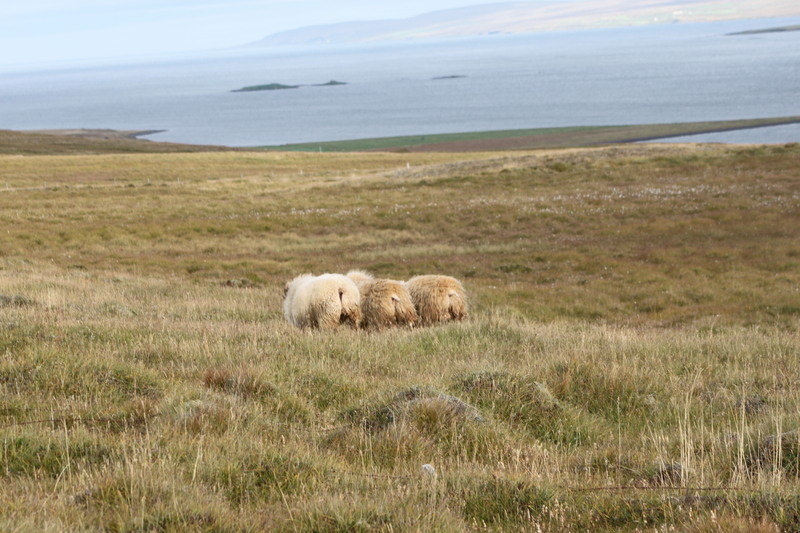 LIttle sheep butts covered all the hills, valleys, and fields. Another cool thing: in the summer they all let the animals roam free. We saw mostly sheep and horses wandering around. The animals are kept in a certain area by natural barriers such as rivers and mountains. Then at the end of the summer all the farmers from each town get together and heard all the sheep together then sort out whose is whose. Total teamwork. So have I convinced you to go to Iceland yet? Maybe? Well if you’re on the fence, just check out this song. You are guaranteed to hear it 100 times while you’re there. I have no idea what the words mean, I just hope it’s nothing bad. Can’t you just picture yourself driving through the country with that infectious beat? I promise you won’t get sick of it at all….. ok maybe a little. And if you have any questions, I would be more than happy to help! Categories: Uncategorized | Tags: Adventure, Beauty, Environment, Iceland, Lifestyle, Nature, Photography, Renewable Energy, Sustainable, Travel | Permalink. A Man and his… Tutu? Here is a true love story: upon discovering his wife has breast cancer, a man takes photos of himself in a tutu for her to look and laugh at while she sits through treatment. And that is exactly what Bob Carey did. Watch this video to see how this man’s idea later became a book, which turned into a non-profit venture to help women with breast cancer. Like the video said, rather than donating the money to research, Linda and Bob are working to provide things that make women comfortable during treatment. Some of the things that they help provide are wigs, transportation, childcare, home care, medical supplies and counseling. The book is adorable and sure to make you laugh as well as reflect. It contains photos from around the world of Bob in his tutu and the story behind the pictures. You could keep this book on your coffee table to entertain guests, add it to your bookshelf, give it as a gift (my birthday is in September 😉 ), or just keep it around to brighten your day once in a while. He also offers 11″ x 14″ prints of a select few photos. This may be a little bold for most people to hang up in their home, but if you have the right décor, I’d say go for it! And lastly, The Tutu Project offers postcards that you can send to all your friends and family to brighten up their day! If you’re interested in learning more about the project or buying some merchandise, you can check out the Tutu Project and the Carey Foundation websites HERE and HERE. Categories: Uncategorized | Tags: Ballerina, Breast Cancer Awareness, Photography, Tutu Project | Permalink.